Melanie Tosik, Computational Linguistics undergrad student from Berlin, spent her summer at Textkernel interning in the ‘Textractor’ team, Textkernel’s R&D department. 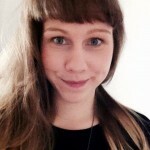 She looks back at her summer at Textkernel and tells about her experiences. “My previous professional experience was limited to student assistantships in different projects at my home university in Potsdam. I found the industrial application of state-of-the-art techniques to large data sets greatly enhanced and complemented my university studies, and I genuinely enjoyed contributing towards the commercial products of a contemporary NLP company. How was your overall experience with Textkernel? , that, thankfully, did not usually start before 9:30am. Would you recommend an internship at Textkernel? Interested in doing an internship at Textkernel?